FREE Sample Frozen Dunkin’ Coffee! You are here: Home / Expired / FREE Sample Frozen Dunkin’ Coffee! 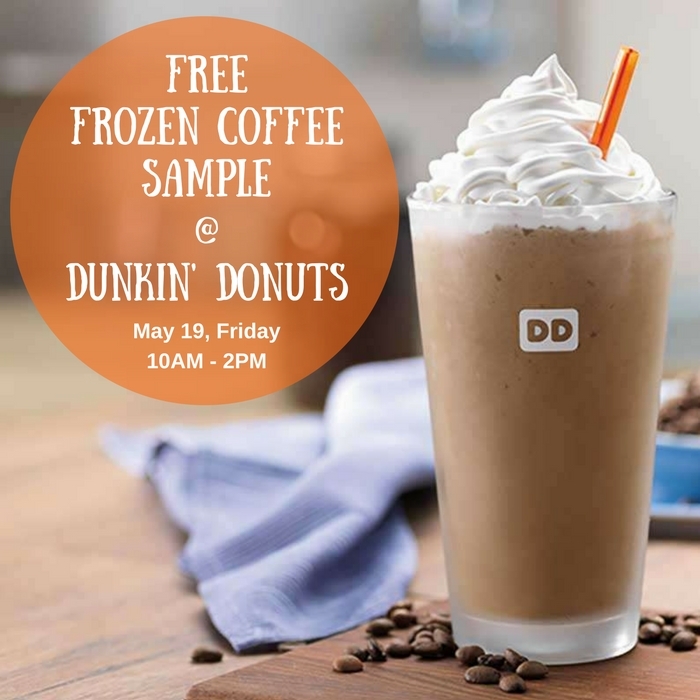 On May 19, from 10AM – 2PM, Dunkin’ Donuts is giving their guests a FREE Sample of Frozen Dunkin’ Coffee! It’s a frozen beverage with the same flavor and quality of signature coffee. Yum! Go to your local Dunkin’ Donuts store to get this FREEbie!